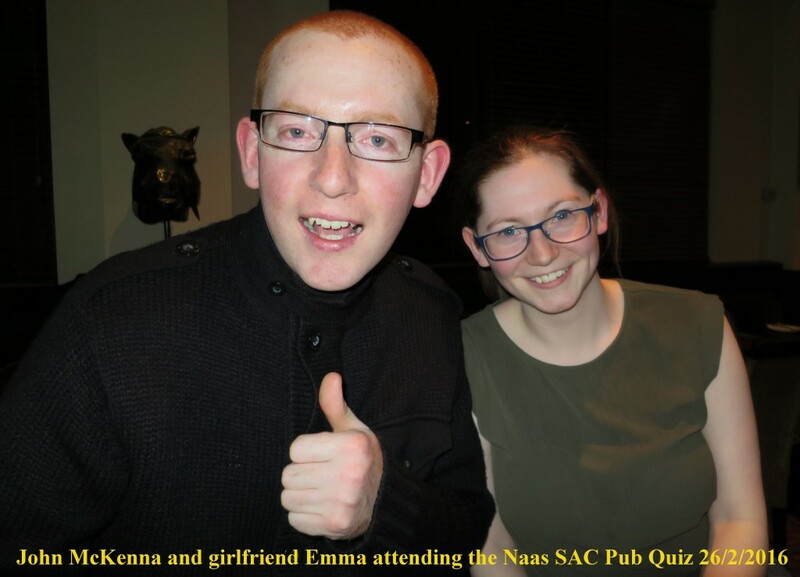 It was a busy weekend for Naas Sub-Aqua Club with the Pub Quiz fund raiser taking place in the Ballymore Inn on Friday evening. 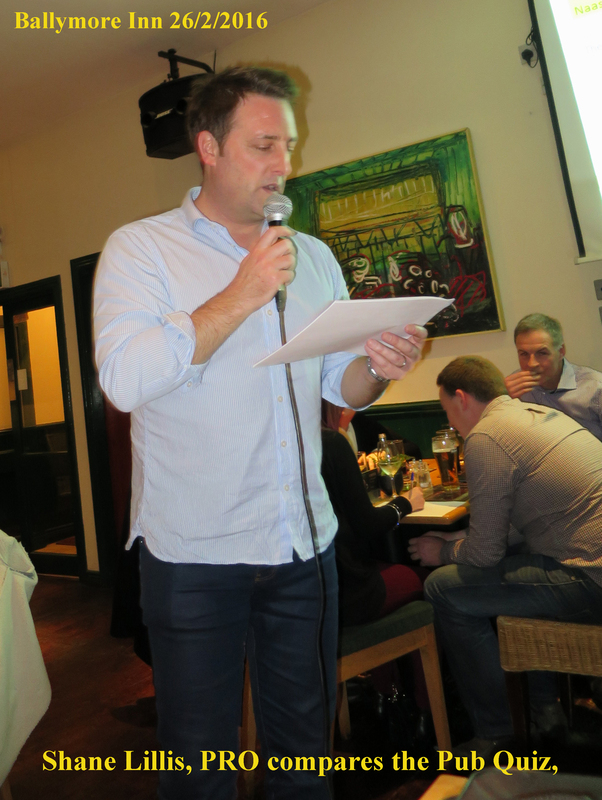 Organiser Shane Lillis, PRO did Trojan work over the past few weeks, circulating raffle tickets, compiling quiz questions, acquiring prizes and finally acting as Quiz Master on the night. It was a great success both socially and financially for the club with the fund raisers realising over €1,600 for club funds. Many thanks to all club members, friends and families who supported the event by selling tickets and attending the Quiz Night. Special thanks also to Barry O’Sullivan, proprietor Ballymore Inn and his staff for taking great care of us on the night, it was much appreciated. 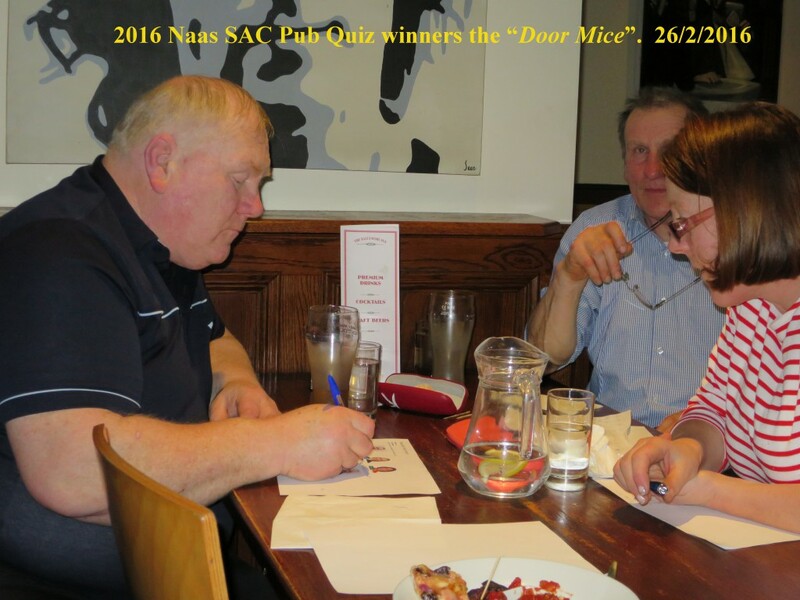 Once again the victors were the “Door Mice” who took an early lead and won convincingly.